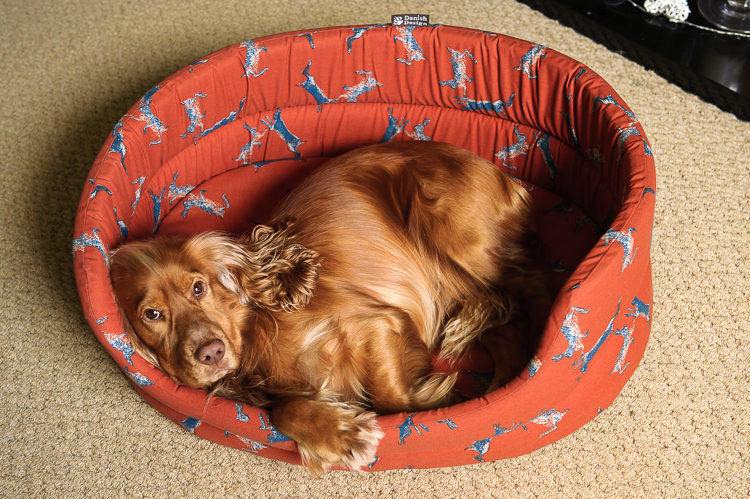 I don’t know about you, but I don’t think you can have too many dog beds dotted around the home. When one’s in the wash, then your dog can hop into another! 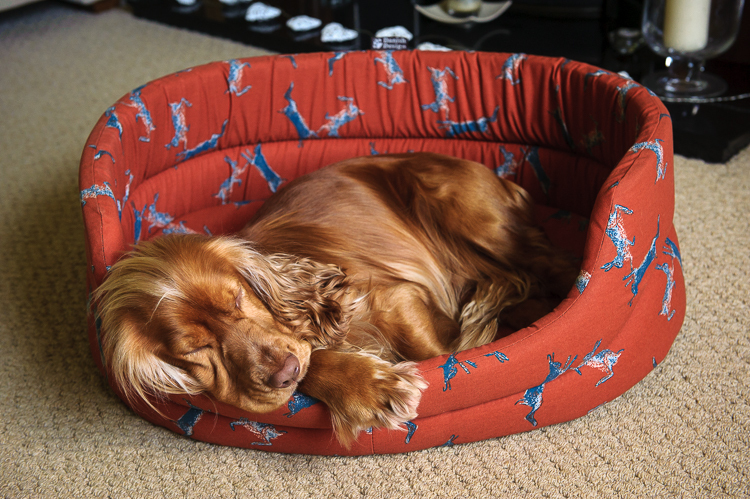 We were sent this lovely comfy Danish Designs bed from Millbry Hill. This independent family-run country store, which has branches in Yorkshire and Cumbria, also runs a great website. 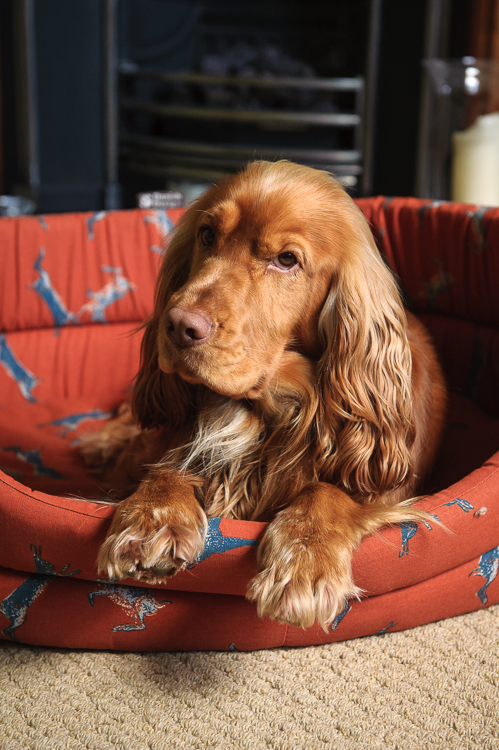 It sells everything from pet products to equestrian supplies, country clothes and gifts. We could browse for ages! 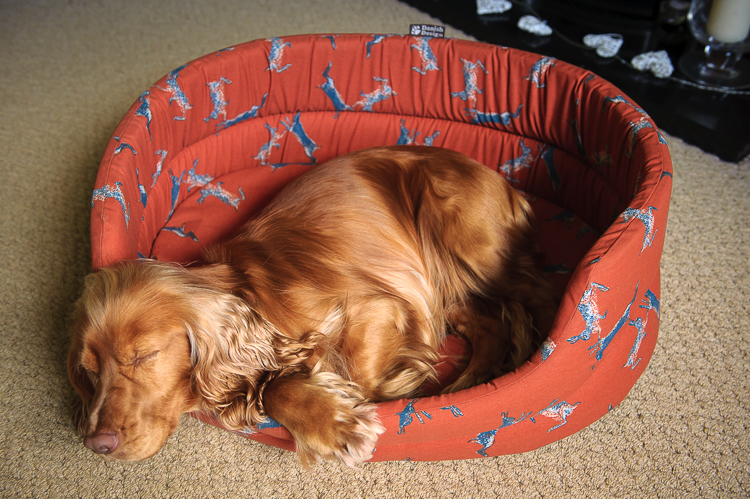 This gorgeous bed was an obvious choice for Barney! 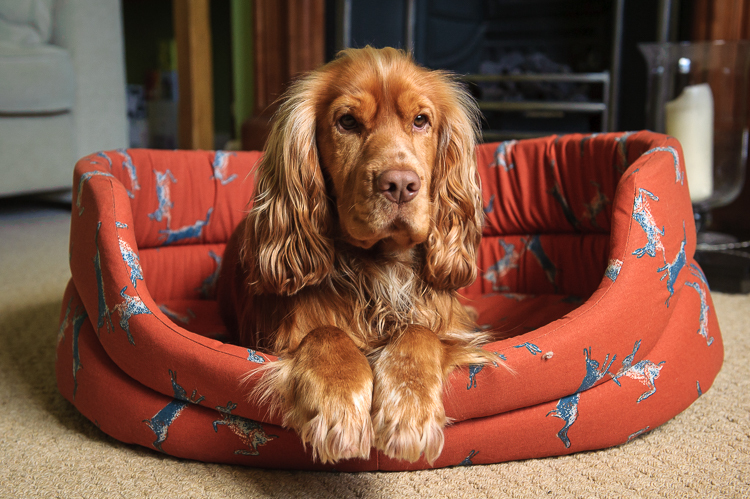 The russet tones complement his auburn coat perfectly we think. 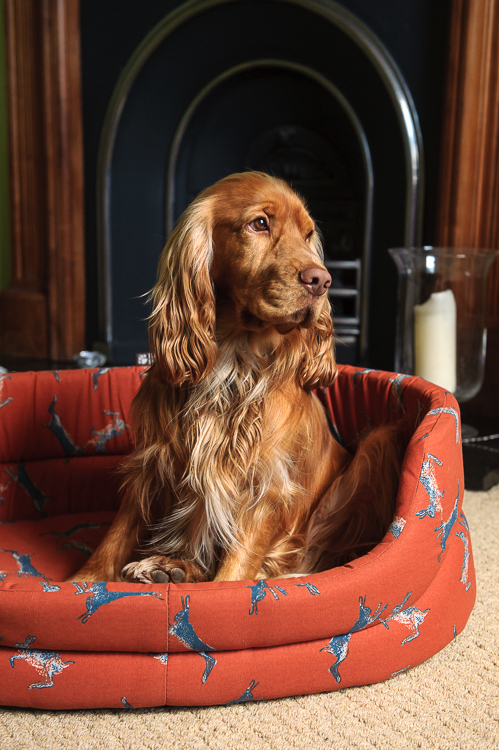 Designed by Danish designer Susanne Mortensen, from her Woodland Collection, the fabric features Boxing Hares in a stunning blue colour. The base of the bed is removable for washing. It comes in seven sizes – from XS (£15.79) to XXXL (£59.99). 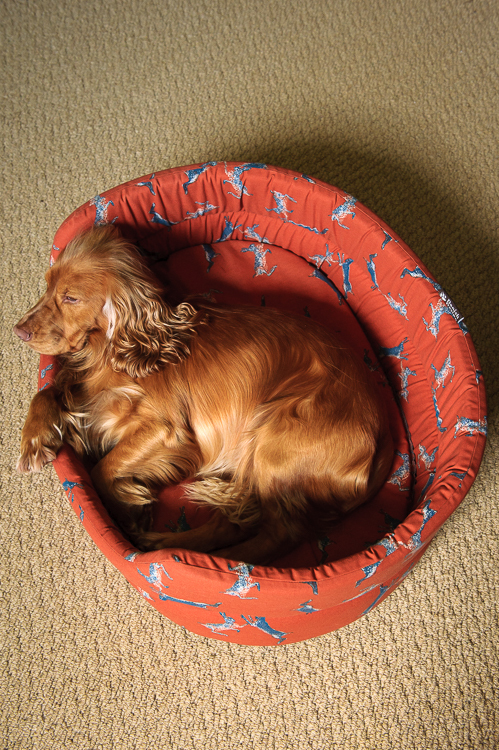 Barney has a size XL (£34.45) – which gives him plenty of room to stretch out.